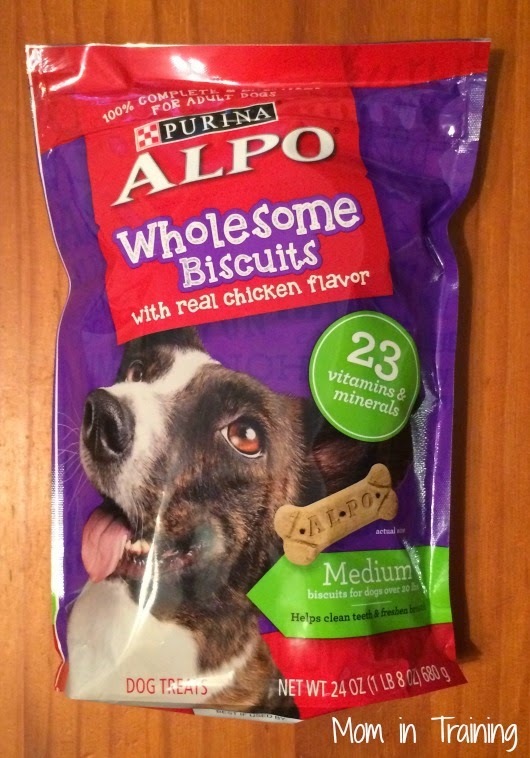 I received Alpo Wholesome Biscuits to Review in order to write this post. I am not being compensated in any other form for helping spread the word about the new Alpo Wholesome Dog Biscuits. Alpo / Purina is not responsible for the content of this article. With several pets in the home we like to take a little time out for them individually and give them a little extra attention. 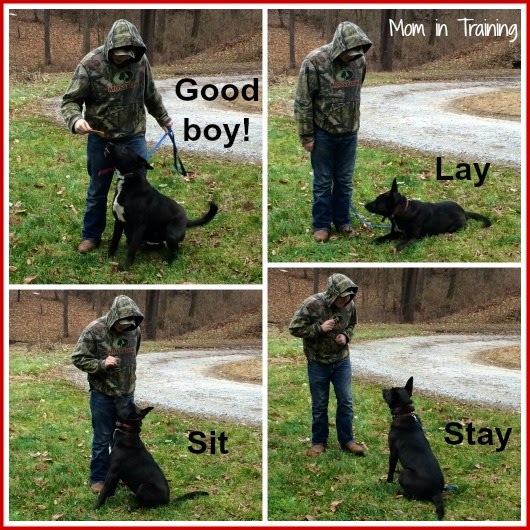 My son's usually the one to take our dog out and work on his training since he's a little on the large size for my daughter to handle yet. Lately he's been working on things with him like sitting, laying, and staying before being called. So far with the help of our new Alpo Wholesome Biscuits we are doing pretty well. Not only do they contain 23 vitamins and minerals that our furry friends need, they also contain calcium to help support their strong teeth and bones. The biscuits are available in a variety of sizes so they are perfect for dogs of all sizes too. I know our German Shepherd/lab mix Pete sure likes them. He liked them enough to sit, lay, and stay for my son because after the first treat he knew he wanted more. And the great part about the bag itself is that it has a built in resealable strip so the treats don't get spilled or stale between uses. Buy it: Find out what stores in your area sell Alpo treats using their Product Finder. Getting a dog is one of my goals in the coming year. I'll remember these as good "training treats"! We have never had a dog, but it is on our to do list. We are waiting another year so we will be sure we are absolutely ready to take on the responsibility. I will definitely need all of the information possible on dog food and treats so I appreciate blog posts like this.